What if five minutes could change your routine and change your day? What if you checked in with how you are feeling for just those few minutes, maybe sitting down over that cup of coffee or tea, or quietly sitting by the window before you head towards the shower? Writing things down has been shown to help people more successfully achieve their dreams and goals. It is a way to help us focus on what matters, prioritise what we are going to do for the day ahead and track our progress. 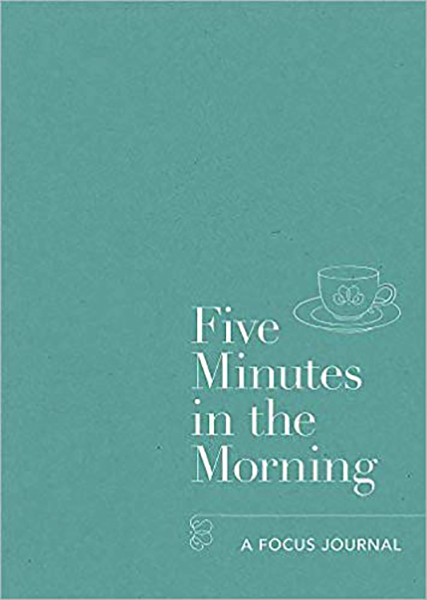 Five Minutes in the Morning offers a beautiful space and creative exercises to encourage reflection and intention setting at the start of the day. ALL IT TAKES IS FIVE MINUTES IN THE MORNING.